Chancellor Brady J. Deaton became the 21st chief executive officer of the University of Missouri-Columbia on October 4, 2004. 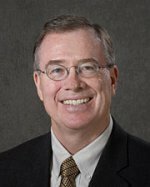 With 15 years of service to MU and 33 years of experience in public higher education, Dr. Deaton brings an international perspective, a record of national leadership, and a strong devotion to Mizzou to his new position. Dr. Deaton began his journey in higher education as a student at the University of Kentucky, where he graduated with a degree in agricultural economics in 1966. Growing up as the second of nine children of a hard-working farm family in Kentucky and furthered by his participation in 4-H, he developed a love of the land and a desire to study agriculture. His dedication deepened during a two-year tour as a Peace Corps volunteer in Nan, Thailand, from 1962-1964, where he taught vocational agriculture in the Thai language. After receiving his bachelor's degree, Dr. Deaton pursued a master of arts in diplomacy and international commerce at the University of Kentucky, graduating in 1968. He went on to the University of Wisconsin where he earned a master of science in 1970 and a doctorate in 1972 in agricultural economics. Moving from the student to the faculty ranks, Dr. Deaton spent the next six years as an assistant and associate professor of agricultural economics and rural sociology at the University of Tennessee. During this time at Tennessee, he was appointed as staff director of the Special Task Force on Food for Peace for the U.S. Department of Agriculture in Washington, D.C. In 1978, Dr. Deaton took a professorship position at Virginia Polytechnic Institute and State University in the Department of Agricultural Economics, where he also served as coordinator of the rural development research and extension program. Dr. Deaton spent 12 years at Virginia Tech, the last four as associate director of the Office for International Development. In March of 1989, he joined the University of Missouri-Columbia as professor and chair in the Agricultural Economics Department and as Social Science Unit leader. He transitioned from faculty to administration in December 1993, when he was appointed chief of staff in the Office of the Chancellor. He became deputy chancellor in 1997. In January 1998, Dr. Deaton was appointed interim provost and was named to the permanent position in October of that year. His duties were expanded in 2001 when he also became the executive vice chancellor for academic affairs. A strong proponent of the University's role on the global stage, Dr. Deaton was instrumental as the sponsor of the Big 12 Provosts' delegation to the European Union. Dr. Deaton holds leadership roles in many university, community and national organizations. He served as chair of the Academic Affairs Council of the National Association of State Universities and Land-Grant Colleges (NASULGC), participates in advisory roles with the U.S. Department of Agriculture and maintains active membership in the American and International Agricultural Economics Associations. He has authored over 100 articles, presentations and book chapters in his career in addition to co-authoring three books. For his contributions to the University, Dr. Deaton has been the recipient of many honors. He has been awarded the Outstanding Commitment to Multiculturalism and Diversity certificate by the Association of Black Graduate and Professional Students, honored as an invited lecturer at the Japan International Agricultural Council and recognized by Gamma Sigma Delta with an Award of Merit for Outstanding Administrator. Most recently, he received the Malone Award from NASULGC for furthering international education in public higher education. Chancellor Deaton and his wife, Dr. Anne Deaton, are the parents of four grown children, Tony, Brady Jr., Christina and David, and are the grandparents of Liam, Anna Sophia, William Brady and David Paxton.